Millpond Park, beside Vauxhall Street, Balbriggan, Co. Dublin. 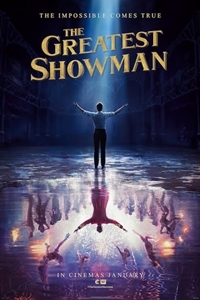 Join us for the first of our 2019 screenings on Friday 10th May, in Millpond Park, Balbriggan ( Beside Vauxhall Street ) as we host The Greatest Show on Earth, right here in Dublin! Gates are open from 8.30pm with the film kicking off when the sun goes down (approx 9.30pm). There will be teas, coffees, sweet and savoury treats on offer. The story of P.T. Barnum, a showman with a gift for hoaxing the public as he creates the three-ring circus that made him famous.